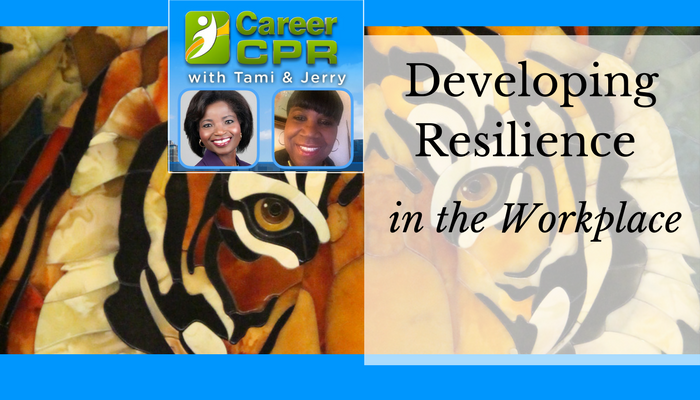 In this podcast episode, we discussed how to improve our resiliency in the workplace. Research by the CDC and the world health Organization indicates that the nature of jobs accounts for a quarter of employees’ stress. Many of us now work in demanding work cultures where stress and the risk of burnout are widespread. Since the pace and intensity of contemporary work culture are not likely to change, it’s more important than ever to build resilience skills to effectively deal with your work life. I have seen that the most resilient individuals are the ones that fail, and because of their failure, they have learned and thrive. When a person have been through many challenges, he or she is forced to acquire a skill set needed to be resilience. Possibly you are familiar with Charles Darwin, the evolution theory, (survival of the fittest). In the real world, organisms develop features that help them survive in changing their habitat. That is the spirit of resilience. Resilience is the process of adapting well in the face of adversity or significant stress. The American Psychological Association define resilience as the process of coping favorably under tragic, threatening, stressful, and unfavorable circumstances like marital, financial, health, and job problems. Resiliency of individuals is a critical element in an organization’s ability to make changes and flourish when changes are constantly occurring. It’s clear that stress and burnout related to the increasing pace and intensity of work are on the rise globally. The current and rising levels of stress in the workplace should be cause for concern, as there is a direct and adverse relationship between negative stress, wellness and productivity. In a study conducted by IBM Institute for Business Value in late 2015 reported that the “scope, scale and speed” of the businesses are increasing at a fast rate. This result in additional high pressure in the working environment. Factors that lead to resilience include being optimism; having the ability to stay balanced and manage strong or difficult emotions; having a sense of safety and a strong social support system. The good news is that because these are concrete set of behaviors and skills associated with resilience, we all can learn to be more resilient. Resilience teaching is a benefit and indicated as improving personal growth. It enhances function and performance. It’s important to understand and manage some of the factors that cause us to feel so overwhelmed and stressed at work. First, we must recognize the place of advancements in technology on the state of modern day working environment. Technology has changed the way things are done in our work place today. Guess what? Workers need to really change to keep with modern technology. In order to have resilience in the workplace, one has to stay balanced, and develop support systems. Due to the continuous modern technological changes that are occurring so rapidly in the workplace, employees are at a point where they find it most difficult to adapt psychologically to these changes. These changes cause increased anxiety and stress which can eventually lead to burnout and various diseases. This is true, I have seen many people who are retiring from their job because they just do not want to deal with technology. Either they feel like they are too old or they just don’t want to deal with it. One has to embrace the demands placed on them in the workplace, understand what the issues are and the ability to develop effective strategies to achieve success. For an organization to be functional and thrive in a continuously Changing workplace, employees must be able to adapt, and move forward through the process of changes. Once you have develop resiliency and you are able to weather through the changes, then at that point, you can help others cope and manage their stress. By offering your support, motivation, and help decreases anxiety. Demands in your place of work are constant, but the resilient employee survives. He is able to handle any challenge he encounter in the workplace as well as boost the team spirit. He is a classic example of the saying: when the goings get tough, the tough gets going. How one view changes has a tremendous impact on how they respond to the challenges of their workplace. Due to changes some employees cope better than others. Those that cope better remain focused, flexible, Positive and pro-active. They adapt quickly, work well with others, succeed at reaching their goals and are constantly learning and improving. -continuous learning meaning, continue to invest in yourself personally and professionally. We hope we have share with you many ways to build and sustain resiliency in the workplace.